"The SIGNS of the Times" ... have become "The TIMES of the Signs!" The Biblical signs are clear for all to see, and even the scoffers will struggle to argue against it… Sure, many people throughout history have been proclaiming that they were living in the last days and the end of the world was nigh, and some of the Bible signs have always existed from the early days. But never has there been a time before when ALL these events were evident in so many diverse places and with such frequency and intensity. Which generation of people will be living when the King of kings and Lord of lords return to Jerusalem at the end of this age? According to the prophet Isaiah, God knows every generation that will ever be born… "Who has planned and done it, calling forth the generations from the beginning? I, Jehovah, am the first and the last; I am He, Isaiah 41:4. God also has a plan for every generation: "Lord, thou have been our dwelling place in all generations," Psalm 90:1. The prophetic Word indicates one generation that will NOT pass away completely; that is, not everyone in that generation will die. Some people will be taken directly from Planet Earth after an instantaneous, miraculous change into supernatural minds and bodies, for eternal residence in heaven. The Generation Mystery! Which generation of people was Christ talking about that would see His return when He said: "…This generation shall not pass, till all these things be fulfilled?" (Matthew 24:34). The answer to this 2000-year-old question may be closer than we think… if the many prophecies we see converging on the horizon continue their march towards fulfilment in the 21st century. The unfolding of the "end times" prophetic scenario before our eyes should prompt us to keep our Bible in one hand and the newspaper in the other as we piece the prophetic puzzle together. Our generation is the FIRST generation to fulfill ALL the biblical signs and without doubt we are living in the final years that the Bible prophesied were to come. The Bible says we CANNOT know the time of the Lord’s return (Matthew 25:13). But the Scriptures make it equally clear that we CAN know the season of the Lord’s return (1 Thessalonians 5:2 – 6). This passage asserts that Yeshua (Jesus) is coming like "a thief in the night." But then it proceeds to make it clear that this will be true only for the pagan world and not for believers. His return should be NO surprise to those who know Him and His Word, for they have the indwelling of the Holy Spirit to give them understanding of the nature of the times. Furthermore, the Scriptures give us ‘signs’ to watch for… signs that will signal that Yeshua is ready to return. The writer of Hebrews referred to these signs when he proclaimed that believers should encourage one another when they see the Day of Judgment drawing near (Hebrews 10:25 – 27). Yeshua also referred to the ‘end time signs’ in His Olivet Discourse, given during the last week of His life (Matthew 24 and Luke 21). Speaking of a whole series of ‘signs’ which He had given to His disciples, He said, "When you see all these things, recognize that He (the Son of Man – Yeshua) is near, right at the door," Matthew 24:33. The Second Coming of Yeshua (Jesus) is the greatest single theme in Scripture... While there are approximately three hundred prophecies in the Old Testament that foretold the First Coming of Christ, there are more than eight times as many verses describing the Second Coming. In total, some 2400 verses throughout the Old and New Testaments reveal God's promises about the return of Yeshua. The enormous number of prophetic verses about the Second Coming underlines the vital importance of this event in God’s plan for mankind. Consequently, we dare not ignore the prophetic signs pointing to the nearness of His return! Significantly, the very first prophecy in the Bible in Genesis 3:15; "And I will put enmity between you and the woman, and between your seed and her Seed; He will bruise your head, and you shall bruise His heel." Here God addressed to Satan after Adam and Eve’s sin predicted three major events in the redemptive plan of God, concluding with the Second Coming of Yeshua: The first event was the virgin birth of Yeshua (Jesus) as "her seed"; the second event was Satan’s apparent victory when Yeshua was crucified "you shall bruise His heel"; the third event will be fulfilled at the Battle of Armageddon when Yeshua (Jesus Christ) will defeat Satan; "He will bruise your head." The New Testament book of Jude recalls that the righteous patriarch Enoch was raptured to heaven before the Flood. Jude revealed that Enoch prophesied about the Second Coming, when the Lord would return to earth with millions of His saints. "Enoch, also, the seventh from Adam, prophesied of these, saying: ‘Behold, the Lord comes with ten thousands of his saints, to execute judgment upon all," Jude 14 -15. The seventh from Adam… there were only five of the fathers between Adam and Enoch, 1Chronicles 1:1-3. The First Coming of Christ was revealed to Adam; His Second, glorious Coming, to Enoch; and the seventh from Adam foretold the things which will conclude the seventh age of the world. Jude might have known this either from some ancient book, or tradition, or immediate revelation. Behold! As if it was already done, the Lord comes! The prophet John recorded our Lord’s final prophecy in the final verses of the book of Revelation: "And, behold, I come quickly; and my reward is with me, to give every man according as his work shall be," Revelation 22:12. Yeshua’ (Jesus) final message to His Church concludes with these words in verse 20: "He who testifies these things says, Yes, I am coming quickly, Amen. Yes, come, Lord Jesus!" During the early centuries following the ascension of Yeshua (Jesus) into heaven, Christians often greeted one another by saying… "Maranatha," which means "the Lord comes." Despite constant persecution from both the pagans and the officials of the Roman government, the early Christians rejoiced in the certain knowledge that Yeshua had prophesied that He would someday return to establish His Kingdom on earth. These believers knew that Yeshua rose from the dead on the third day following His crucifixion… as He had foretold during His ministry. The Lord was seen by many people during the forty days following His resurrection. Thirty years after He ascended to heaven in the sight of His followers, the apostle Paul wrote, "After that, he was seen of above five hundred brethren at once; of whom the greater part remain unto this present, but some are fallen asleep," 1 Corinthians 15:6. The truth of His death and resurrection was widely known and taught by the early Church… and encouraging a widespread expectation of His glorious return to destroy evil and establish His righteous government on earth forever. ‘Signs’ centre around Israel…! Perhaps one of the most signs of the times in which we live is the rebirth of the modern state of Israel. 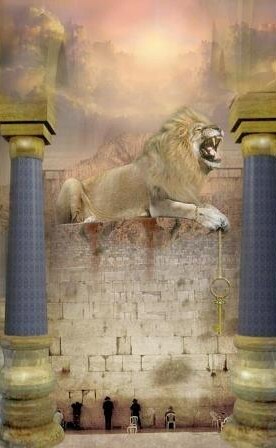 The prophets (Ezekiel 36:24 – 28; Isaiah 11:11 - 12) recorded in the Bible that in the end times God would bring the Jews back into their ancient land and that once He had done that He would never allow them to be destroyed or scattered among the nations again. Despite the rise of anti-Semitism in the world, all of this fits the perfect plan of God to bring Israel into position to eventually be redeemed and reconciled back to God. Unlike some teachings that have crept into the church today that teaches that Israel has been replaced by the church… but this simply is not so! God declared that He would bring the Jews back into the land in the end times, and that He would gather them from the four corners of the Earth in order to fulfill his plans for the redemption of man, both Jew and Gentile. Despite bringing the Jews back into the land of their forefathers from ancient times, the Bible is clear that the Jews would return to the land a second time in unbelief as they have until this time rejected Yeshua (Jesus) as the promised Messiah that was part of God's plan for the redemption of mankind. The Jews spent almost 2,000 years "wandering" the Earth in other nations of the world… But despite their unbelief, God knew beforehand that they would fall into unbelief and so he devised a strategy to get his "stiff necked people" to eventually recognize Yeshua (Jesus) as their Messiah. The Jewish people will finally recognize their promised Messiah as they will see the one that they "pierced" coming in the clouds with great glory in order to establish his rule on Earth. The Bible says that they will mourn when they recognize their mistake! Israel’s current condition finds her in a very serious condition as the world tries to divide the Holy Land and give birth to a "Palestinian" state in part of what is modern day Israel. This plan of a two-state solution is a terrible plot by Israel’s enemies and the international community in order to bring so called peace to the region. While from a human stand point this might seem to be the case, but we know from the prodding of the Holy Spirit that there is more behind this ‘dividing of Israel’ than meets the eye. The attempt to divide the land is one of Satan’s grandest schemes in order to destroy the Jewish people. Sadly, many people in the world do not see this and instead continue to pressure Israel into a covenant that will put them into a terrible situation… and one that will bring Israel into un-defendable borders and a weakened overall state of security. The Palestinians still bluntly refuse to recognize Israel as a Jewish state and still maintain in their terrorist charters the intention to destroy Israel. Sadly the world has either been unable to see this… or in the case of many nations have become anti-Semitic towards Israel and just simply do not care! Signs of Jerusalem a Burdensome Stone…! The status of Jerusalem has also become a major sticking point during the past year. The international community has bought into the idea that Jerusalem should be divided and made the capital of both Israel and the new Palestinian state. This decision and support is simply without merit as Jerusalem has been the city of Jews since ancient times. Jerusalem has never been a Palestinian capital! The Bible warns us that in the end times the status of Israel and Jerusalem will be a major sticking point for the world. The Bible specifically mentions Jerusalem as a ‘burdensome stone’ (Zechariah 12:3) here in the end times and that all that concern themselves with it will be ‘cut to pieces.’ With Biblical warnings like these it is unbelievable that the world community continues to ignore the plain warnings of God. Signs of Prophecies being fulfilled…! One of the most severe problems facing the Jewish people today is the rise of terrorism on Israel’s borders due to terrorist groups like Hamas and Hezbollah. In addition, Israel face calls for it to be "wiped off the map" by Iran. This serious threat both by the Palestinian terrorist groups as well as by Iran have put Israel into an extremely serious position. The threat of war and destruction on Israel has never been greater! These threats are the beginning stages towards the prophetic fulfilment of Psalm 83, Isaiah 17, and Ezekiel 38 - 39 prophecies. It is Interesting to note that the Psalm 83 prophecy deals primarily with the immediate terrorist enemies of Israel that are currently residing on the borders with Israel. This is simply no coincidence! 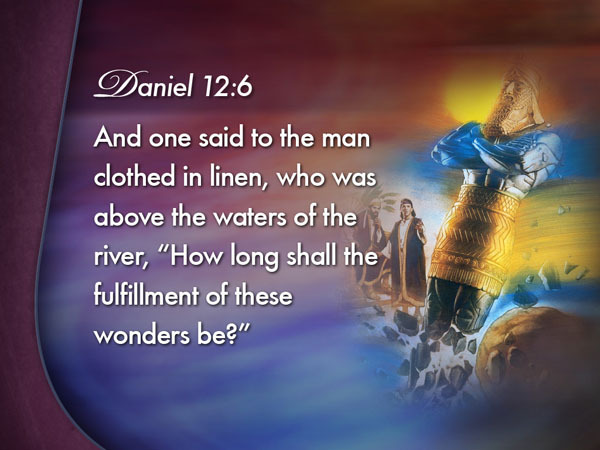 The Isaiah 17 prophecy could end up being fulfilled with the same or close timing of the Psalm 83 prophecy as it deals with the destruction of Damascus… and also refers to serious harm done to Israel due the large build up of missiles and other weapons on the borders of Israel. Damascus is responsible for providing many of the arms that have found their way into the hands of the terrorists. It is likely that in the next war between Israel and her neighbours… that Syria will get directly involved and the prophecy of Isaiah 17 will be fulfilled. While we cannot foretell the future exactly, we can analyze the current trends in the Middle East and see how this scenario can easily come to be. God only knows the final outcome! Signs of the Times…! One hundred years ago in 1907 there was not one single, tangible, measurable sign that indicated we were living in the season of the Lord’s return. The first to appear was the Balfour Declaration which was issued by the British government on November 2, 1917. This Declaration was prompted by the fact that during World War I the Turks sided with the Germans. Thus, when Germany lost the war, so did the Turks, and the victorious Allies decided to divide up both the German and Turkish empires. The Turkish territories, called the Ottoman Empire, contained the ancient homeland of the Jewish people… an area the Romans had named Palestine after the last Jewish revolt in 132-135 AD. In 1917 Palestine included all of modern day Israel and Jordan. In the scheme the Allies concocted for dividing up the German and Turkish territories, Britain was allotted Palestine, and this is what prompted the Balfour Declaration. In that document, Lord Balfour, the British Foreign Secretary, declared that it was the intention of the British government to establish in Palestine "a national home for the Jewish people." Since the time of the Balfour Declaration… we have witnessed throughout the 20th Century the appearance of ‘sign after sign’ pointing to the Lord’s soon return. There are so many of these signs today, in fact, that one would have to be either Biblically illiterate or spiritually blind not to realize that we are living on borrowed time. Signs of Understanding…? Another remarkable positive ‘sign’ is the understanding of Bible prophecy. You see, the Hebrew prophets often did NOT understand the end time prophecies that the Lord gave to them. A good example is found in Daniel 12:8 - 9 where the prophet complains to the Lord that he does not understand the prophecies that have been entrusted to him. The Lord’s response was, "Don't worry about it. Just write the prophecies. They have been sealed up until the end times." In other words, the Bible teaches that many of the end time prophecies will NOT be understood until the time comes for them to be fulfilled… And that is exactly what has been happening in the past 100 years. Historical developments and scientific inventions are now making it possible for us to understand end time prophecies that have never been understood before. Take Israel for example! All of end time prophecy revolves around the nation of Israel...! But, before 1948 how could they understand those prophecies... as long as Israel did NOT exist and there was no prospect that the nation would ever exist again? More than being a “sign” of the times, this is an historical FACT of where we stand in earth’s history. The vision that God gave King Nebuchadnezzar as shown in the Bible Daniel 2:31 - 45 and subsequently the interpretation to the prophet Daniel consisted of an image of a man which depicted all the “ages” and ruling kingdoms from the time of Babylon until the Second Coming of Christ (the destroying Rock, which is the eternal Kingdom of God). Signs of Increase of Sin; Violence and Sexual Immorality…! (Matthew 24:37; Luke 17:28 – 30) What was it like in Noah’s day and Lot’s day? We need to go to two other Bible verses to see what it was like; Genesis 6:13 tells us that in Noah’s day the “earth was filled with violence.” And, in Jude 1:7 it says that in Lot’s day, Sodom and Gomorrah had given itself over to “fornication and strange flesh.” So violence prevailed in Noah’s day and sexual immorality (including homosexuality) prevailed in Lot’s day. And this would be a sign of the end times before Yeshua (Jesus) returns. So our question is, does violence and sexual immorality (including homosexuality) prevail in the world today? Very much so, yes! Not only does violence and fornication rage across the whole world, homosexuality has become a “norm.” Many countries have already legalized homosexual marriage… and, there are more countries being added to the growing list all the time! Signs of Departing from the Faith and giving in to seducing spirits and doctrines of the devil…! I Timothy 4:1; Matthew 24:4-5, 11 clearly warns us about the dangers of false teachings and the occult. We’ve certainly had our fair share of ‘false Christ’s’ appearing around the world. Also, today we have many false religions proclaiming many ways to eternal life like; Hinduism, Buddhism, Islam, Sikhism, Folk Religions, Wicca etc. and with false prophets like Muhammad, Krishna, Buddha, etc., leading these religions. We also have many false leaders in Christian Churches, proclaiming a new religion called “Chrislam” where they teach that Allah of Islam and Yahweh of the Bible are one and the same. And, millions of people have been sucked in and deceived by doctrines of the devil. But, it doesn't even stop there, as there are many new age, spiritualist, and satanic cults in the world today that are also deceiving the masses. Yes, this sign has certainly been fulfilled. Signs of Mass Animal Deaths…! (Hosea 4:3) This one has become a fairly recent phenomenon and during the last few years we have seen fish, birds and other animals die in huge numbers. Since 2010, millions of fish have been turning up dead in lakes, rivers and the sea, with this deadly red tide partly to blame. Also, Birds have been dropping out of the sky in huge numbers and we are seeing other unusual animal deaths all around the world… including Bees and Bats dying in their millions. The Honey Bee crisis deepens as evidence shows there has been a dramatic increase in die offs... up to 50 percent of Bees are dying now, creating worry over food supply. The book of Hosea not only applied to the nation of Israel. It also applies to our day and contains prophecies concerning the state of the world we live in today. So is this text from Hosea being fulfilled in our day? Signs of Earthquakes, Nations angry, War, Famine, Natural Disasters! It is clear that earthquakes are not only increasing in frequency but also appearing more and more in “diverse places,” which the Bible predicted. The USGS statistics page shows an increase in the frequency of stronger earthquakes and that as at 12th January 2014, there are around 2,800 earthquakes happening a month. Are the nations angry today? Yes, we have uprisings, conflicts and wars ALL OVER the earth. Increase in wars…many people say that this isn’t a sign of the End Times, because there have been wars since the beginning. Yes, there have been wars since the beginning, but when you look at the frequency and intensity of wars, it’s plain to see that this is a sign of the times we are living in. During the 20th century alone, more people have been killed as a result of war than all previous centuries combined in wars like World War I, World War II, Russian Civil War, Congo War, Korean War, Vietnam War, Iraq, etc. Today, there are currently around forty conflicts and wars raging all around the world. Just look at the famine that has struck the world over the past thirty years. Thousands die everyday of starvation and increasing causing one billion people to go hungry around the world. Add to that the failed crops throughout the world because of extreme weather, and a worldwide shortage of food on its way. There is definitely no lack of money and the sad thing about this sign is that the amount of food that is wasted in the developed world could feed the hungry! So what about this Biblical sign? Is this being fulfilled in our day more than any other day before us? Most, definitely! Are the “seas and waves roaring…?” Yes. Tens and even hundreds of thousands of people are being wiped out from Tsunamis and floods, and men's hearts certainly fear what is happening to this world. Signs in the Sun, Moon and Stars…! Joel 2:30 - 31; Acts 2:20 - So we are now in the year 2014… and Yeshua (Jesus) still hasn’t returned…? Well, we need to remember that these Bible signs were NOT signs of His immediate return but rather they were signs to announce the beginning of the last days. You could say that when these ‘heavenly signs’ happen… God had begun the final chapter of human history. 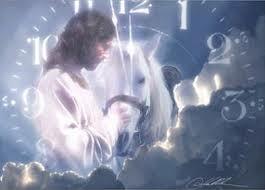 And, since then we have been getting closer and closer to the end of time and are sure to see our Lord’s return soon. When…? Only God has that answer. So, let’s look at what lies ahead for 2014 and 2015 with the “coming of the four Blood Moons,” as predicted by NASA. The Jewish Talmud (Gemara teachings) say; “When the moon is stricken then it’s a bad omen for Israel. When the sun is stricken then sword is coming to the world.” Therefore: Lunar Eclipse = bad omen for the Jewish people and Israel; Blood Moon = sword coming; Solar Eclipse = bad omen for the world. Four, blood moons on Jewish Feast days within two years in Israel is very rare and has only occurred seven times since the time of Yeshua (Jesus). There are now four blood moons scheduled to appear in 2014/2015 and then there will NOT be any for the next 100 years. Every time a blood moon pattern has appeared on Jewish feast days a big event affects the nation of Israel. The event affecting Israel begins just before the actual years of the blood moons. Four TOTAL lunar eclipses occurred on the Jewish Passover and Feast of Tabernacles in 162 - 163 AD, coinciding with worst persecution of Jews… and Christians in the history of the Roman Empire. Within 3 years the Antonine Plague killed eight million people, a third of the population. Four TOTAL lunar eclipses occurred on the Jewish Passover and Yom Kippur Holidays in 795 - 796 AD while King Charlemagne of the Holy Roman Empire established a DMZ buffer zone between France and Spain, ending centuries of Arab invasions into Western Europe. 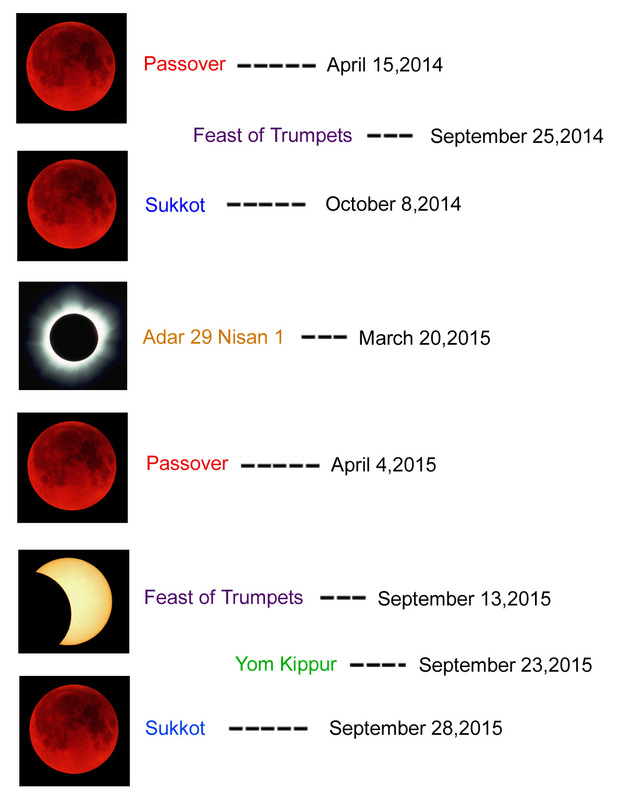 Four TOTAL lunar eclipses occurred on the Jewish Passover and Yom Kippur Holidays in 842 - 843 AD. Shortly after the eclipses the Vatican church in Rome was attacked and looted by an Islamic invasion from Africa. 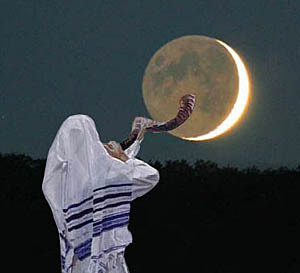 Four TOTAL lunar eclipses occurred on the Jewish Passover and Yom Kippur Holidays in 860 - 861 AD. Shortly after the eclipses the Byzantine Empire defeated Arab armies at the Battle of Lalakaon in Turkey and permanently stopped the Islamic invasion of Eastern Europe. The last three “Blood Moons” are very important as they affect ISRAEL as we know it today: Four TOTAL lunar eclipses occurred on the Jewish Passover and the Feast of Trumpets Holidays in 1493 – 1494. Only months after King Ferdinand and Queen Isabella of Spain ordered all Jewish people to leave the country (after about 200 AD, Spain became and remained a second Jewish homeland for well over a millennia. So deeply woven into the fabric of Spain are the Jews that neither history can be fully studied without considering the influence of the other). 1492 was the same year that the Jews were expelled from Spain and Christopher Columbus ‘amazingly’…. discovered America which is home today for more than 5 million Jews outside Israel. Like Mordecai said to Esther – “help will come in another way!” And America was blessed by God. More important we believe that America’s purpose was to protect Israel and offer a safe haven for the Jewish people. However, the question is… how long will America still continue this in our day? Four TOTAL lunar eclipses occurred on the Jewish Passover and Feast of Tabernacle in 1949 - 1950 during the First Arab Israeli War for Independence just after Israel had become a nation again for the first time in 2,000 years. It should be noted here: that even though Israel was declared a nation in 1948, the first permanent government took office on January 25th, 1949. Israel had a transitional government in 1948. In this way the “(Tetrad) four blood moons” can tie to the year 1949 for the first elected office of that year and the birth year could still be 1948. Four TOTAL lunar eclipses occurred on the Jewish Passover and the Feast of Tabernacles in 1967 - 1968 coinciding with the 6 Day War when Israel recaptured Jerusalem. As Israel's neighbours prepared to destroy the Jewish state, Israel invoked its inherent right of self-defence, launching a pre-emptive strike (5th June, 1967) against Egypt in the South. It was followed by a counter attack against Jordan in the East and the routing of Syrian forces entrenched on the Golan Heights in the North. At the end of six days of fighting, previous cease-fire lines were replaced by new ones, with Judea, Samaria, Gaza, the Sinai Peninsula, and the Golan Heights under Israel's control. As a result, the northern villages were freed from 19 years of recurrent Syrian shelling; the passage of Israeli and Israel-bound shipping through the Straits of Tiran was ensured; and Jerusalem, which had been divided under Israeli and Jordanian rule since 1949, was reunified under Israel's authority. The coming Blood Moons of 2014 – 2015… These four TOTAL lunar eclipses and two solar eclipses occur during; Jewish holidays of “Passover,” the “Feast of Tabernacles” and the “Feast of Trumpets.” This is the only “tetrad” in the near future that aligns itself with the Jewish holidays. One should make mention here that there are other “tetrads” occurring as well. One tetrad occurred in 2003 - 2004. Future ones other than the 2014 - 2015 are found in 2032-2033, 2043-2044, 2050-2051, 2061-2062, 2072-2073, and 2090-2091… The difference between these “tetrads” and the 2014 - 2015 “tetrad” is that this “tetrad” aligns with the Jewish holidays and the others DO NOT! Putting everything into perspective… The above does not mean that the Second Coming of Yeshua (Jesus Christ) at Tabernacles… has to occur on Tabernacles 2015. But, what the above taken as a whole does show a pattern. The “1493 tetrad”… is tied to the Spanish Government expelling the Jews. 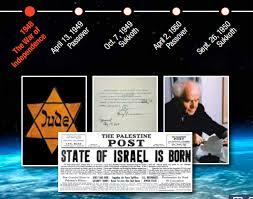 The “1949 tetrad” is the nation Israel being reborn” and the “1967 tetrad” is the recapture of Jerusalem. The coming “2014 tetrad”… will be tied to some major event dealing with Israel… We believe that the “tetrad” of 2014 through 2015 will have something to do with Israel for the start. The blood moons show a pattern of Jewish persecution… and then new land for Israel after a time of war! This means that the blood moons of 2014 - 2015 will be a time of war or persecution for the Jewish people. This may Lead Israel to gain and/or loose land during this time. We have written on this subject before… but we want that you WATCH and PRAY with us for Israel. NEVER stop supporting Israel. We have learnt that principle many years ago and have seen God’s mighty Hand come through in the most difficult situations…“And Amaziah said to the man of God, but what shall we do for the hundred talents which I have given to the army of Israel? And the man of God answered, The Lord is able to give you much more than this” 2 Chronicles 25:9. The Lord is able to give much more than this is a very satisfactory answer to the anxious question. Our Father holds the purse-strings, and what we lose for His sake He can repay a thousand-fold. It is ours to obey His will, and we may rest assured that He will provide for us just as we have provided and still provide for Israel. The Lord will be NO man’s debtor and you will be blessed. Thank you for supporting and standing with Israel. God’s Word is true! He IS watching to see how the nations are treating His people. God will have mercy on Israel through Gentile believers acting as mediators towards them… This is one of the most amazing revelations ever given to the church – an opportunity to do something that carries the highest priority in the heart of God. Yet… sadly, so few have seen the potential and the rewards of serving God in this manner, as agents of mercy to Israel and the Jewish people! Israel was and still is despised today… and a despisable nation continually turning away from God but nothing ever altered the purpose of God for that nation. The despised element is always a noticeable element in the purpose of God. When the Saviour of the world came, He came of that despised nation; like Israel… He Himself was “despised and rejected by men,” …and there is that despised element... “things that are despised God has chosen,” 1 Corinthians 1:28. 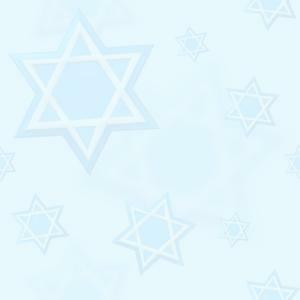 Now… more than at any time... is the time to support Israel and the Jewish people… the Lord’s Brethren!